North Equipment Ltd was set up by Robin North, a foundation industry expert with over 30 years’ experience in piling equipment. 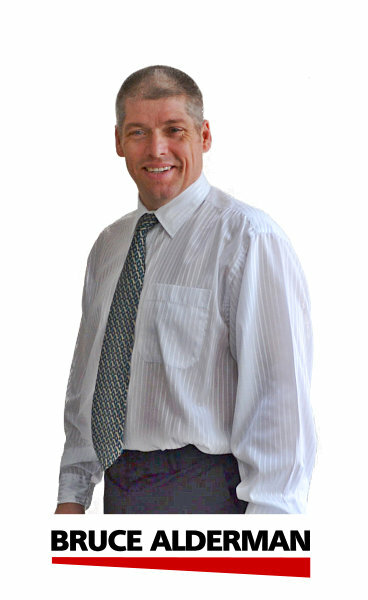 His aim is to provide flexibility in meeting customer needs whilst placing emphasis on cost, reliability and longevity. Having stepped aside as the Managing Director of Soilmec Ltd, Robin formed a new business with seven rigs of different specs and obtained a site for its headquarters in the town of Oundle, Northamptonshire. The business now operates out of these premises, hiring out drilling rigs of various types as well as providing a base for the service and repair operation. 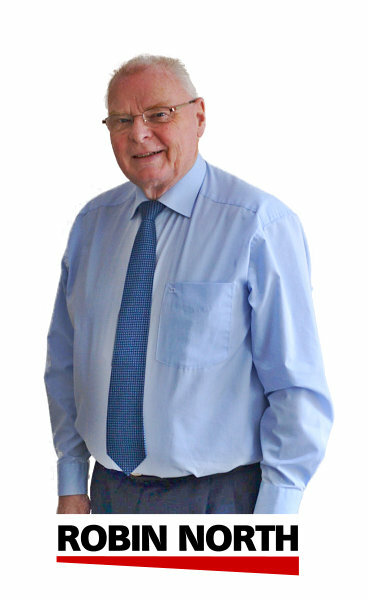 Robin North was born and educated in the West Midlands, completing an engineering apprenticeship with Tube Investments who were manufacturers of specialised steel and high quality tubing. On completion of the apprenticeship, Robin worked for various companies, manufacturing construction equipment ranging from tower cranes, mobile cranes and excavators as well as materials handling. These manufacturers were based in the USA, France, Germany, Sweden and Italy. During the latter part of the 70’s, contact was made with Soilmec whilst Robin was working for an agent in the UK, some years later in 1988 the decision was made to set up Soilmec Ltd. Throughout his involvement with Soilmec Ltd, the company grew from 2 people, working from a small office with a turnover of just over £1,000,000, into a company with specialised facilities to support the Soilmec product, employing 18 people and with a turnover in excess of £15,000,000. During this period of time Soilmec Ltd were responsible for developing specialised equipment to meet the demand for CFA piling equipment. The time came to consider retirement but the lure of piling rigs led to creating a company hiring rigs into the UK market. Facilities were purchased in Oundle, Northamptonshire to meet the demands of the market. In addition, an opportunity arose to provide specialised equipment in dredging with a mud pump mounted on an excavator in order to clean rivers, canals, ponds etc. As a result of Robin's knowledge and understanding of the marketplace, North Equipment Ltd have been able to enter into an agreement with an Italian company called MDT Spa resulting in the establishment of MDT Sales Ltd. The aim is to supply a comprehensive range of MDT rigs from 2 ton to 90 ton and to build and supply equipment in order to meet the customers’ requirements at a competitive price. The company will have extensive and comprehensive support from the MDT Spa factories based in Southern and Northern Italy. The intention is to provide a first class service and parts facilities in the UK. With this new development, North Equipment Ltd offers a great opportunity to provide UK customers with equipment that will allow them to generate profitability. The emphasis will be on flexibility in meeting the customers’ requirements remembering that cost and reliability must be combined with longevity. Bruce Alderman was born and educated in Cambridgeshire where he started his career in a Government Youth Training Scheme with John Deere. He then obtained a position within the Maintenance and Repair department of a pharmaceutical company. In order to improve his skills and knowledge, Bruce served a time served apprenticeship in engineering and has achieved an Higher National Diploma in Mechanical Engineering. An opportunity arose to join a French company called PTC UK and there he was responsible for preparing and maintaining the company’s range of equipment. This included extensive overseas traveling to the Middle East, Far East, North American continent and Europe. Bruce's duties within this role included installation, commissioning, repair and service of PTC equipment. Due to a restructuring of PTC’s operations in Europe, a decision was made to take up an appointment with Liebherr UK, it was there that Bruce ultimately held a management position in their Mobile Crane Division. An opening became available to work at Soilmec Ltd working within the service division which involved the repair and maintenance of their drilling rig range. Following his time at Soilmec an opening arose to invest in North Equipment Ltd, a new company created by Robin North which supplies a range of products in the piling industry. Bruce now draws on his engineering knowledge and piling industry experience to introduce the equipment and facilities needed and to manage the support of the company’s products. Steven Mainwaring was born in Leicestershire and moved to Lincolnshire at a young age where he completed his education. At age 17, he made the decision to enlist into the British Army Royal Engineers and subsequently went on to pass his initial training. He gained his qualifications at the Royal School of Military Engineering in Chatham, Kent and intends to study for his HND in Mechanical Engineering. Upon attaining his qualifications, Steven was posted to Germany as an engineer, working alongside others to hone his skills as an engineer, servicing, repairing and overhauling the different vehicles the military had to offer. With deployments around the world, Steven had the opportunity to interact with different nations and gain experience on an extensive range of machinery and equipment whilst facing testing situations and arduous environments. Steven eventually took the decision to leave the forces to spend more time with his wife and son and settled near Peterborough. An employment opportunity arose for him with North Equipment as a Senior Service Engineer which encompasses the service and maintenance of the drilling rig range, providing him with the opportunity to expand his knowledge of the industry. Alex Black was raised and educated in Oundle, the home of North Equipment. He began a 2 year course studying light vehicle maintenance and repair in 2014 where he developed a passion for all things mechanical. He was awarded his diploma in Level 3 Light Vehicle Maintenance and Repair upon successfully completing his course. Soon after in 2017, Alex took up his employment with North Equipment as a Trainee Engineer and launched his career into the piling industry. Today, he retains the role of Junior Engineer where he applies his knowledge of mechanics to the service and maintenance of piling rigs whilst developing his understanding and experience within the piling field.